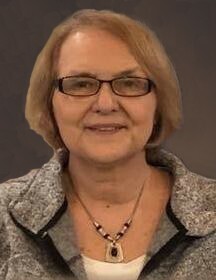 Judith Ann Dailey, 71, of Manchester, Iowa, passed away on Saturday, September 1, 2018, at her home in Manchester. She was born on March 11, 1947, in Sibley, to John Raymond and Helen (Dickey) Moet. She graduated from Maquoketa High School in 1965. Judy was married to Donald Schepers. Three children were born to this union. The couple later divorced. Judy found the love of her life and married Sean Dailey on August 13, 1996. Judy worked in food service her entire career. She was a car hop at the 64 Drive Inn in high school to earn her way. She went on to manage the Lakehurst Supper Club in Maquoketa for a number of years. She worked with her mother, Helen, in the kitchen at the Maquoketa Care Center and then worked at Jackson County Public Hospital. Judy also worked at Manor Care in Cedar Rapids as the dietary manager. She retired from the Penn Center in Delhi after 22 years. Judy enjoyed NASCAR and was an avid Terry Labonte fan. She was a bit of a workaholic and put 110 percent of herself into everything she did. She was an advocate for quality of life of every person or animal. She was passionate about her family and loved spending time with them all. She had a gentle way about her and she was extremely kindhearted. Judy had an uncanny ability to see the good in all people, and her love for her fur babies was immeasurable. Family who will cherish Judy’s memories are her husband, Sean Dailey of Manchester; her children, Kimberly (Lynn) Lewis of Quasqueton, Michelle Schepers Wright of Manchester, and Scott (Lyndsie VandeVorde) Schepers of Ryan; five grandchildren, Alissa and Jacob Lewis of Cedar Rapids and Cole, Halie, and Olivia Schepers of Ryan; her sister, Karen (Paul) Portz of Maquoketa; and three nieces, Kathy (Troy) Marshall, Deb (Todd) Giesemann, and Paula (Jorge) Zamora and their families. She will be especially missed by her trusted and faithful puppy, Libby. Judy was preceded in death by her parents and three fur babies, Apple, Bear, and Mugsy.